KEW THE MUSIC, the glorious festival of Summer concerts in Kew Gardens, returns for its sixth year with a truly fantastic line up of artists. These festival-style concerts, which are renowned for their magical and relaxed atmosphere, are set amongst the glorious gardens of Kew, a UNESCO world heritage site. Guests are welcome to bring their own food and drink, or to sample from the line up of artisan bars and food stalls on site. For the very first time these concerts are a collaboration between Kew Gardens, Kilimanjaro Live Ltd and Raymond Gubbay Ltd. Royal Botanic Gardens, Kew have been presenting Summer concerts for 33 years. 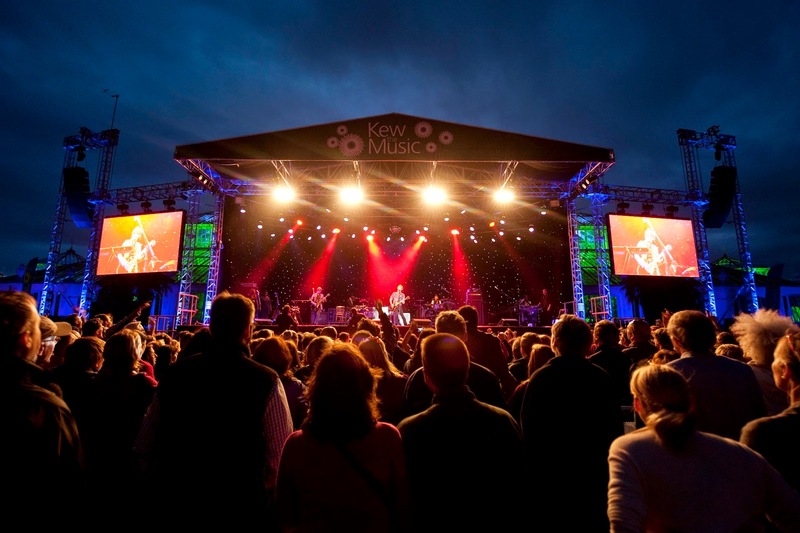 2015 BRIT nominee Paloma Faith opens the Kew the Music festival 2015. Fast becoming one of the great singer-songwriters of her generation and known for her unique and retro style, her latest album A Perfect Contradiction has become her most successful to date and the fifth biggest selling album of 2014 in the UK. Her numerous hit singles include Can’t Rely On You, Only Love Can Hurt Like This, Picking Up The Pieces, Never Tear Us Apart (INXS cover version) and the iconic New York. Sultry and sophisticated jazz and pop singer Caro Emerald, whose dazzling 2013 album The Shocking Miss Emerald went straight to number one in the UK album charts, brings her engaging and quirky style of European lounge music to Kew Gardens. Dutch born Caro Emerald’s first album, Deleted Scenes From The Cutting Room Floor, went platinum across much of Europe and reached number four in the UK album charts. She made legions of new fans following her opening set on the pyramid stage at the 2014 Glastonbury Festival. Due to phenomenal demand for tickets, Paloma Faith performs a second concert at Kew the Music 2015. Following last year’s sell-out concert at Kew the Music, Jools Holland returns to Kew Gardens this year with yet another crowd-pleasing show. Jools has been touring with his veritable musical army, the Rhythm & Blues Orchestra for more than 20 years and once again he will be joined by regular guest vocalists Ruby Turner, Louise Marshall and Mabel Ray. UB40 are undoubtedly Britain’s most popular reggae artists and have clocked up more than 70 million record sales worldwide with songs like Kingston Town, Red Red Wine, I Got You Babe (recorded with Chrissie Hynde of The Pretenders), Rat In The Kitchen and Can’t Help Falling In Love. The bands initial line up lasted 30 years from the bands formation in 1978 until front-man Ali Campbell’s departure in 2008. Two other founding members of UB40 also left the band and have since formed UB40 featuring Ali, Astro and Mickey - back together at last. Legendary band The Specials, close the 2015 Kew the Music festival. Known for their unique up beat blend of two-tone and ska, they are guaranteed to have the Kew the Music audience on their feet and singing along to songs such as Too Much Too Young and Ghost Town. Go to kewthemusic.org for full event and ticket information. Tickets from £41.50. Booking fees apply. Under 12 months free entry and no ticket required. Disabled tickets: Carer goes free. No seating is provided, but guests are welcome to bring blankets, folding chairs and picnics. Once again Kew the Music is delighted to be working for a fourth year with our partners John Lewis. The John Lewis Partnership operates 43 John Lewis shops across the UK and 332 Waitrose supermarkets. It is the UK's largest example of worker co-ownership and is regularly voted the UK’s favourite retailer.